Sellers, Price It Right The First Time! In and around the Bay Area, it appears Listing Calls are on the rise. Anytime calls from one side of a real estate transaction begin to pick up we begin to perk up. National lending reports suggest interest rate averages are reported to rise from 4.5% to 5% in 2014. With a rise in lending interest rates buying power begins to diminish among the existing buyers out searching for homes. A buyer that was once approved for a home with a sales price of $300,000, for example, now can only afford a home for $275,000. This information is very important to consider if you’re now looking to list your home for sale. We found a great article on CNN, which offers advice when deciding your sales price and pricing your home right the first time it’s uploaded onto the MLS. “Price it right the first time. Don’t waste your time by listing too high only to have to wait and lower the price. “Buyers are smart these days — they know where the market is, and now that rates are higher, they aren’t going to bite on a list price above recent comparables,” says Sara Fischer, an agent with Redfin based in San Diego. The real estate site Zillow reports that about one-third of listed homes in August had a price drop, up from 26% earlier this year. If you or someone you know needs real estate assistance, call Christi and Steve Durflinger at 925-708-0006 or visit us at www.teamdurf.com. 3 homes on 1 lot! 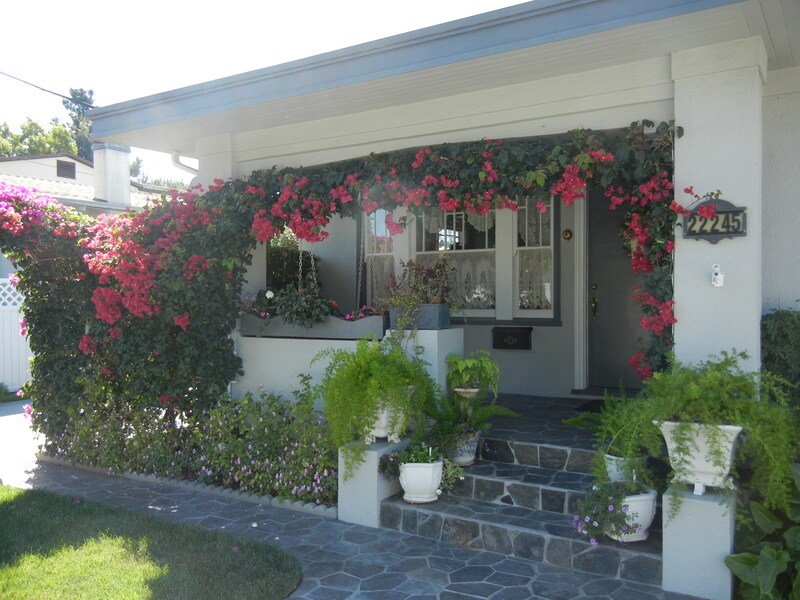 22245 Montgomery Street, Hayward, CA is located in historic downtown and is an addorable 1920’s era ranch home zoned multi-family. If you have a large family and looking to live in all three, want to live in one and rent two, or want to maximize your passive income by renting all three, 22245 Montgomery Street, Hayward, CA is the opportunity you’ve been looking for! For a private viewing, contact Christi Durflinger at 925-708-0006. You can also reach her at Christi@TeamDurf.com. 2,328 square foot single story ranch style home offers 4 bedrooms plus master retreat, 2 1/2 bathrooms, gourmet kitchen, granite countertops, stainless steel appliances, jacuzzi tub, tile flooring, tile master bathroom, 220v disconnect in backyard for future spa, pre-wire for surround sound speakers in family room, walking distance to shopping, walking trails, parks, schools, and more! Open House is Saturday 7/6 and Sunday 7/7 from 1 to 4 pm. For more information, call Christi or Steve Durflinger at 925-708-0006 or you can email them at Christi@TeamDurf.com. Call TeamDurf for all your real estate needs! Get this rare single story ranch style home in Brentwood’s Steeplechase community today before it’s too late! Don’t miss your chance while rates are still low and home prices are still affordable! This 2,328 square foot, 4 bedrooms, 2.5 bathroom home is not only perfect for a growing family but to anyone not wanting to climb stairs everyday. Backyard is entertainment friendly, low maintenance, and ready for summer barbecues! Like to shop? Streets of Brentwood, inspired by Walnut Creek’s Broadway Plaza, not only offers all the newest retail shopping you’ll need but a state of the art movie theater and multiple restaurants for your eating pleasure. Gourmet kitchen w/granite & stainless steel appliances! 220v hook-ups in backyard ready for your future spa! Pre-wire in family room ready for your new speakers! TAEXX Built-in Pest Control System to keep bugs away! Jacuzzi tub in master bath ready to soak your aching bones! Sitting retreat in master bedroom offers many options! 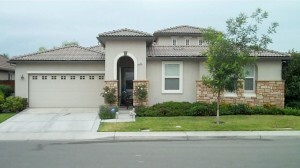 Located minutes from schools, walking trails, and parks! Recently installed new hot water heater! Kitchen island plumbed for future sink if desired! For more information or for an opportunity to view 1106 Beau Ave simply call or text Christi and Steve Durflinger at 925-708-0006. You can also email us at Christi@TeamDurf.com. 1791 Gateway Drive, Oakley, CA with 1571 square feet this very cute ranch home with vaulted ceilings, 3 bedrooms, 2 bathrooms, and a 2-car garage in a great neighborhood. New flooring, interior paint, furnace and ducting throughout. Home is very well kept with peaceful landscaping and sitting area in the backyard. This home won’t last! For more information, call Christi and Steve Durflinger at 925-708-0006.